Get crafty in your free time! Making your own pen stands is a fun thing to do. When I was quite young, all the cousins would join and make things like wall hangings, pen stands and gifts cards using our own ideas. I would like to share some with you which is fun and simple as well as good looking.Scroll down and have fun time at home. 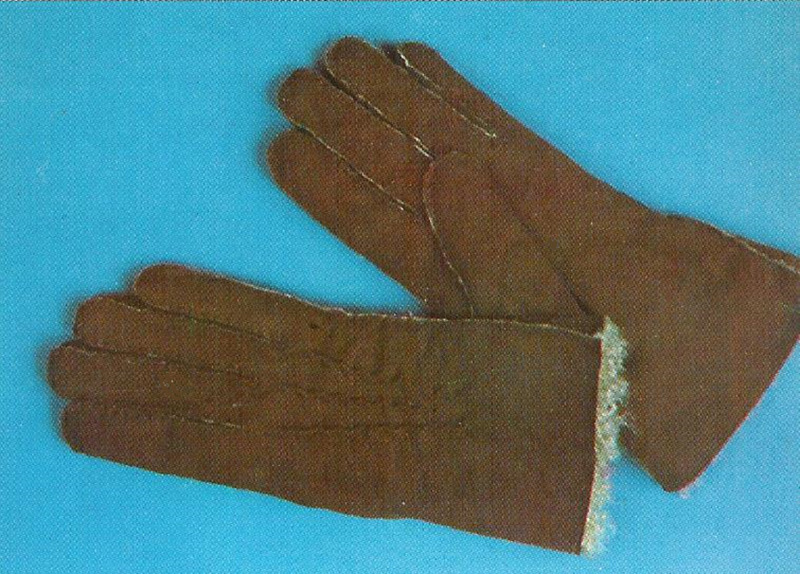 you can make your own modifications with the basic idea and even gift them to your loved ones. 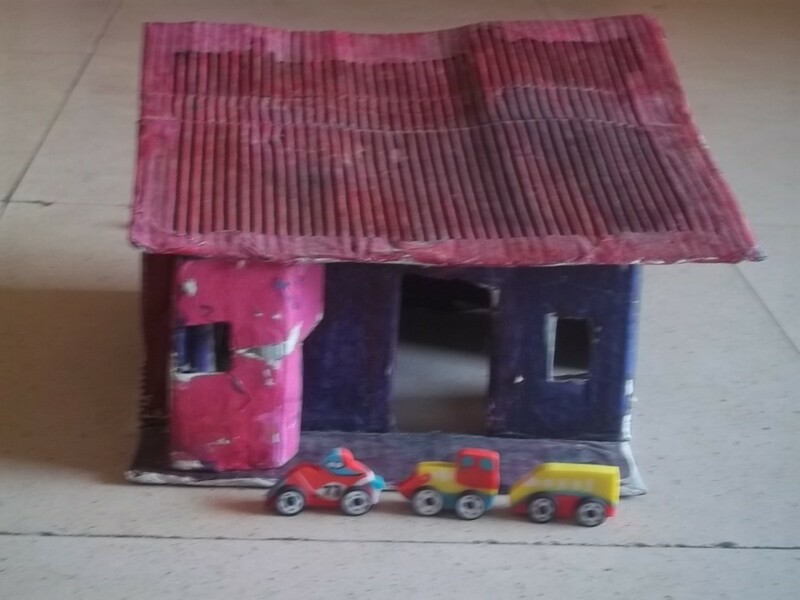 'The gift you give made by yourself has more value and love than the one which you buy' as my grandma used to say is true. 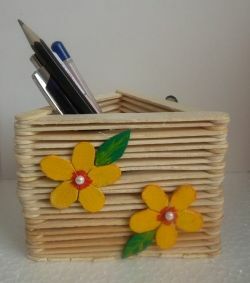 The happiness you feel is different when you gift your dad or sister or brother when you gift a pen stand made by you. Now that you have whatever is required, we'll start to make our pen stand. Cut one end of the soap box and apply glue mixed in equal quantity of water all over the box and paste around 2-3 layers of tissues or news paper strips to make it stronger. Let it dry. Once the paper is dried, paint the whole box with your favorite color paints. 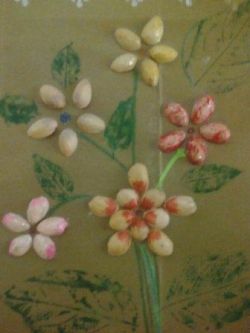 After the paint dries, start sticking the pistachio shells as shown in the picture like flowers or you can put your own ideas to make other designs with the shells and you can draw the branches. you can paint the leaves if you are good at it or just paint the back of a natural leaf and press it on the stand. This gives more of a natural look.Give some outlines with glitter. You can also paint the pistachio shells. Once all this dries, your beautiful pen stand is ready. Pen stand with photo frames! This is a great way of expressing love. You can gift this kind of pen stand to your close ones. Here we go to make a wonderful pen stand. 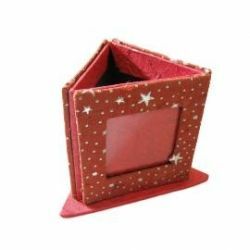 Stick three rectangular card boards to make a triangle shape using a glue tape.cut out a triangular cardboard, the size of the base by measuring and stick it at the bottom using strong glue and tape. add more tape and make it strong. Paste tissue papers or news paper strips around 2-3 layers to make the cardboard strong using a thin liquid of glue and water. After this dries, paint the whole stand with good attractive colors. This is the base for your stand. Now cut out the other 3 card boards in the middle that is the size of your photo or if the photo is too big for that cardboard, you can cut the edges of your photo but there should be at least 1-2cm gap left around your photo. Paint all the three cut out cardboards with your favorite color and add glitter and designs to it. 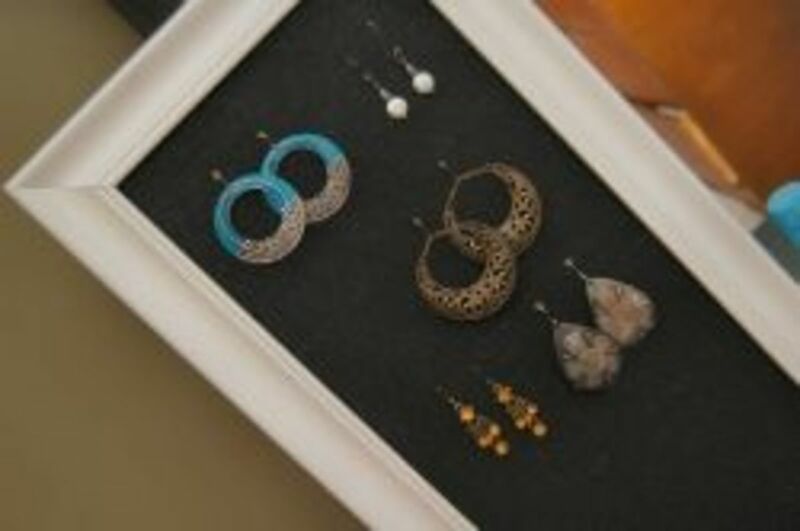 You can also stick small mirrors or beads. Once this s dried, at the back of this cutout cardboard stick a transparent cover just covering the in between gap using tape. Now the last part of your stand, Stick the three ready cardboard pieces onto the sides of your stand base. 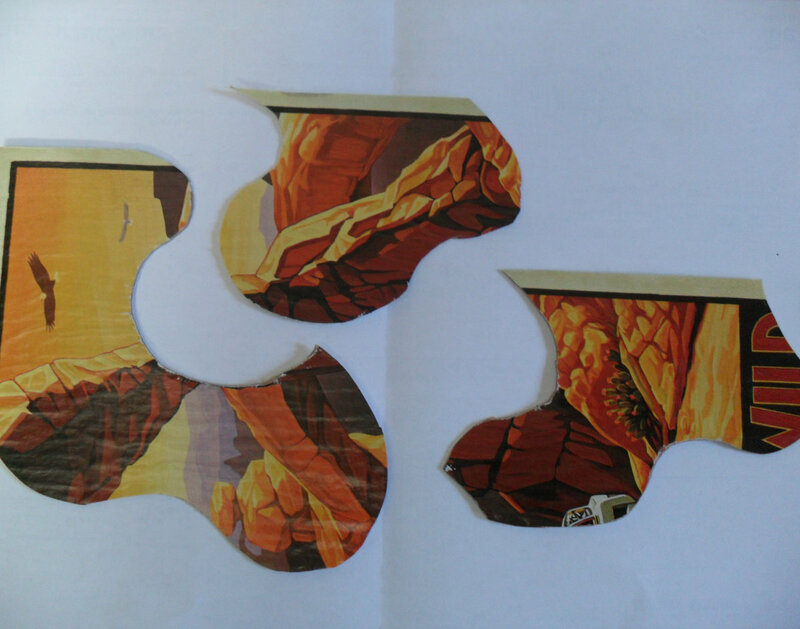 You need to glue three sides leaving the above end free to insert the photographs. let it dry and you can insert the photos in all the three frames of the pen stands. Making this is fun and it also looks fantastic on the table. This is another great way to make a nice pen stand. You only need very few things to make this. This is quite simple. You need to stick the ends of an ice cream stick to another. First stick three sticks to form a triangle. Then, stick another stick like the consecutive sides of the triangle and continue the same in triangular shape by sticking them consecutively building the triangle till you reach the required height. 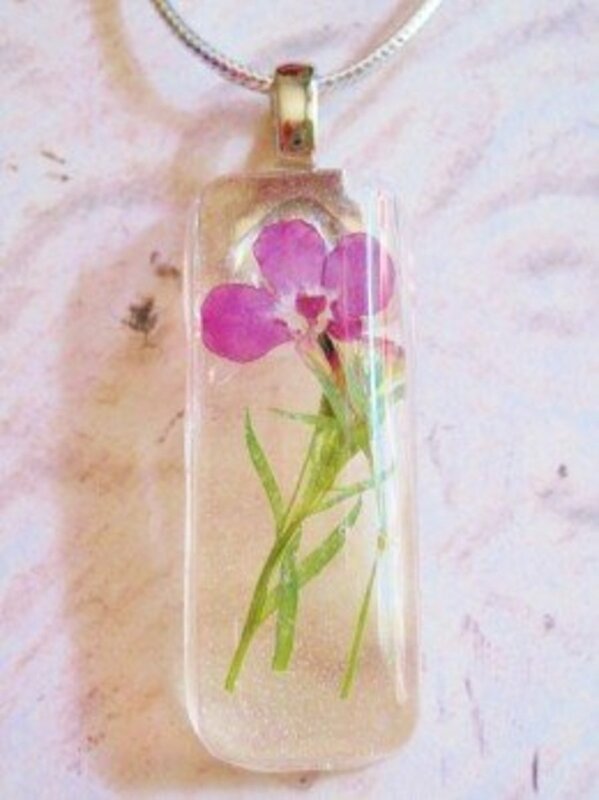 Once this is dried, you can cut the sticks in the different shapes and you can make flowers as shown or stick dried flowers or just paint it and leave it like that only. You can also paint each stick in different color before pasting to give a different look or you can just leave it without painting to give a natural look. Would you like to make a penstand of your own? These are so cute! I would have never thought of using pistachio shells in that way! Very creative. I know my granddaughter and her girl scout troop would enjoy this. I really love the ice cream stick pens stands! What creative ideas to make these snazzy pen holders!